Although the latter is certainly possible and can occur in ectopic pregnancies that develop undetected for too long, not all newly diagnosed ectopic pregnancies are automatically considered medical emergencies. When the diagnosis comes early enough in the process, other possible treatments exist. With this brief review, learn the treatment approaches doctors may suggest to patients after diagnosing an ectopic pregnancy. If blood tests show that the hCG level in the blood is falling, chances are that the ectopic pregnancy is already in the process of miscarrying and the doctor may merely monitor the woman's hCG to make sure it continues to drop. If doctors detect the ectopic pregnancy early enough before it threatens to rupture the fallopian tube, a drug called methotrexate can be an effective treatment. This drug is usually given if the hCG level is below a certain limit and there is no risk of imminent rupture. Methotrexate is also used in chemotherapy and works to stop rapidly growing cells from multiplying. The drug is administered as an injection. 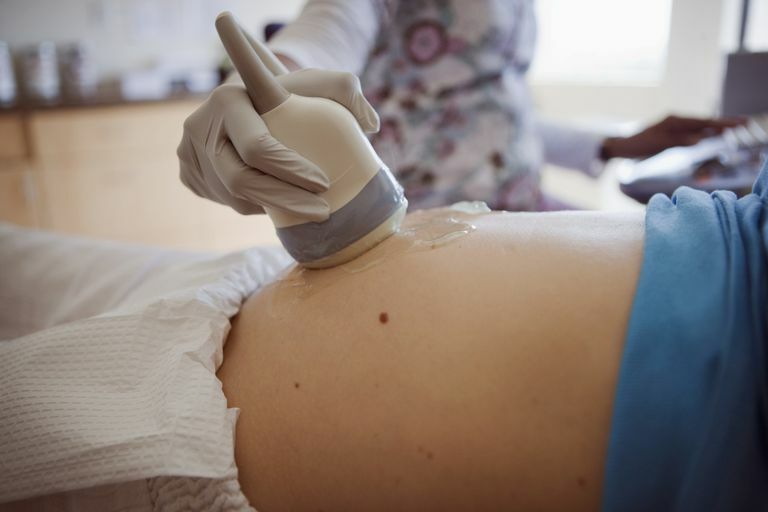 Research has found methotrexate to be an effective treatment for early ectopic pregnancies, preventing the need for surgery about 90 percent of the time when the woman is a candidate for the treatment. When using methotrexate to treat ectopic pregnancy, doctors usually continue to monitor a woman's hCG levels as well in order to make sure that the ectopic pregnancy is not continuing to develop. If your doctor says that you're not a good candidate for methotrexate, ask why. Make sure the physician has explored this option before signing you up for surgery. Surgery is the final possibility for treatment of an ectopic pregnancy. If the ectopic pregnancy is continuing to develop and is posing a threat of rupture, or if it has already ruptured, surgical treatment is the default and unavoidable. In addition, in non-emergency situations, some women may prefer surgical treatment over using methotrexate in cases when the doctor offers a choice. In the surgical treatment of an ectopic pregnancy, the doctor operates to remove the pregnancy tissue from the fallopian tube. The surgery may involve laparoscopy. Sometimes there is no way to repair the damage to the fallopian tube and the doctor must remove the affected tube. If this happens, ask what possible effect this might have on your fertility. Will it take you longer to get pregnant with just one working tube? Will you likely need IVF to get pregnant as a result? Know what to expect, so you're not blindsided after surgery. Regardless of treatment method, women who have had an ectopic pregnancy are at increased risk of having another ectopic pregnancy, so it's important to check in with a doctor early along in the next pregnancy. Hajenius, P.J., F. Mol, and B.W.J. Mol, "Interventions for tubal ectopic pregnancy." Cochrane Reviews Nov 2006. Lipscomb, Gary H., Marian L. McCord, Thomas G. Stovall, Genelle Huff, S. Greg Portera, and Frank W. Ling, M.D. "Predictors of Success of Methotrexate Treatment in Women with Tubal Ectopic Pregnancies." NEJM Dec 1999.